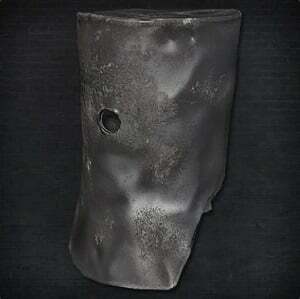 One-Eyed Iron Helm is a Head Armor/Attire in Bloodborne. "An iron helm resembling an upside-down bucket. A single hole allows one to peek out with a single eye, which is probably all that its original owner had." Dropped by killing Valtr, the leader of The League. It says the clothes are a DLC item. Is the helmet? I have it but I don&apos;t know if I have the DLC. Can you get his clothes?